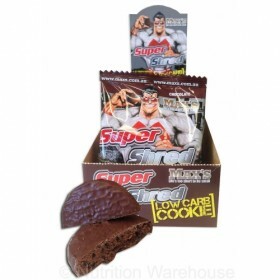 MAX’S SuperShred Low Carb Cookies are the best muscle building guilt free treat – bar none! 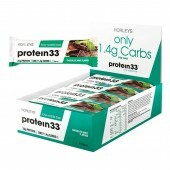 They are packed with high quality protein including fast absorbing Whey Protein Isolate, medium absorbing Whey Protein Concentrate and slow releasing Calcium Caseinate, so you can build lean muscle while keeping carbs low. 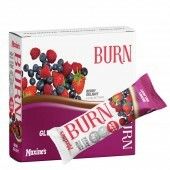 We have also added the Carb Blockers GCE and Phaseolamin and fat metaboliser L-Carnitine which make MAX’S SuperShred Cookie unique. 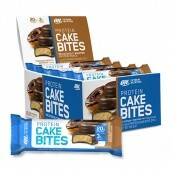 They are great for a low carb snack anytime and also make a great after workout meal to stimulate lean muscle development. Max's Super ShredCookies are a little different because they actually go from raw ingredients to be mixed as a cookie dough. They are then baked, allowed to cool, chocolate coated then packed off. The same stringent quality processes are followed in their manufacturing. 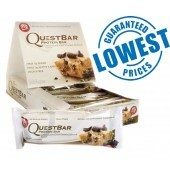 The trick with high protein baking is to produce a product that’s not hard and dry. We have had plenty of feedback on our cookies to say they taste so good – they can’t be good for you. But they are!